As you may by now be aware if you follow me on Twitter or Snapchat (@lizeebarry), I have reverted back to my old ombré hair. Whenever Spring/Summer approaches, I always have the urge to lighten my hair, like it used to be in my old outfit posts. The easiest way for me to do this without visiting a salon, was to add back in my ombré using the L'Oréal Préférence Wild Ombrés dip dye kits. As I use two different kits (one for darker hair to begin with, then the next shade up to go even lighter) my hair can feel very damaged from having so much bleach applied in a short space of time. 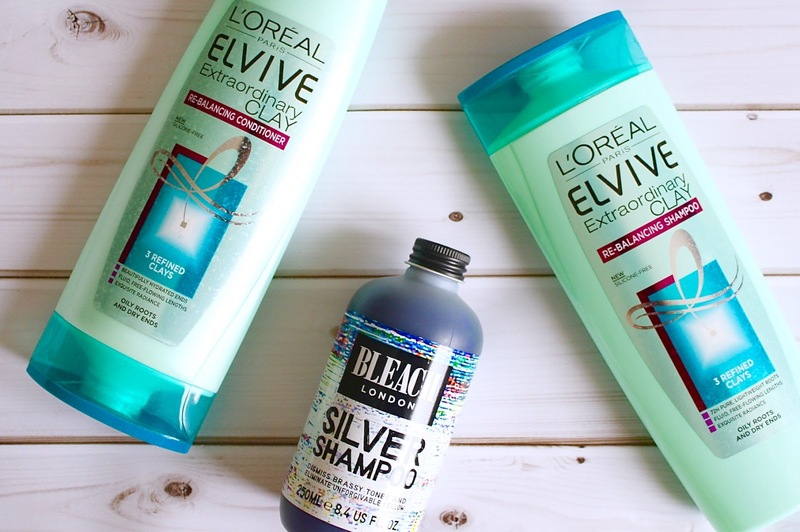 I decided to switch up my haircare routine to tailor for my newly dyed hair and I couldn't help but notice the new L'Oréal Elvive Extraordinary Clay range; I normally use the L'Oréal Extraordinary Oil shampoo & conditioner which I have found to leave my hair feeling nourished and silky after use. The Extraordinary Clay range seemed to be better-suited to dyed hair as it boasts to 'deeply purify roots' and leave the ends of your hair feeling 'hydrated'. Using any dip dye kit always leaves the ends of my hair feeling incredibly dry and I often find that the ends of my hair become more prone to knotting when heat is applied with my hairdryer or straighteners. Even after the first use of the Extraordinary Clay shampoo and conditioner, I was overly impressed. My hair feels even more silky after use than it did when I was using the Extraordinary Oil range. I currently tend to shampoo every day and condition every other day, which seems to be the best routine for my hair. I do recall that the last time I decided to add my ombré in, the ends of my hair felt dry for months after being bleached which indicated that I wasn't giving it the treatment it greatly needed. This time around, my hair already seems to have been restored to its original condition, just 3 weeks after dyeing it, and it feels just as soft as it did before bleaching, which I completely owe to changing to the Extraordinary Clay range. As I had applied my Ombré to previously dyed hair, the ends of my hair were slightly more 'copper' toned than I was aiming for. I decided to invest in a Silver shampoo, even though the rest of my hair is brown. 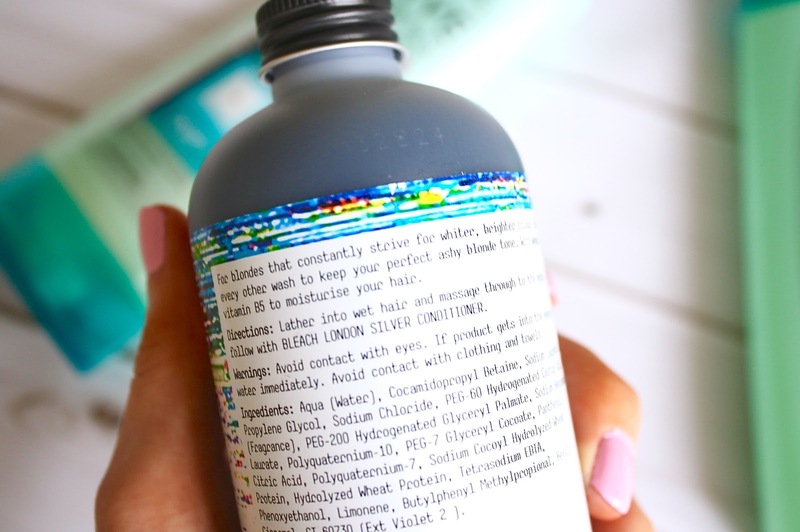 After a little bit of online browsing, I chose to purchase the Bleach London Silver shampoo, which is designed to eliminate brassy tones for blondes. After I have used my Extraordinary Clay shampoo for the majority of the upper half of my hair, I use the Silver shampoo solely for the ends. I'm not sure if it is a 'placebo effect', but I do feel as though the ends of my hair looks slightly lighter after application of the Silver shampoo and once my hair has been dried. I do also find that this softens the ends of my hair once rinses out, which ensures my hair doesn't become knotty too. 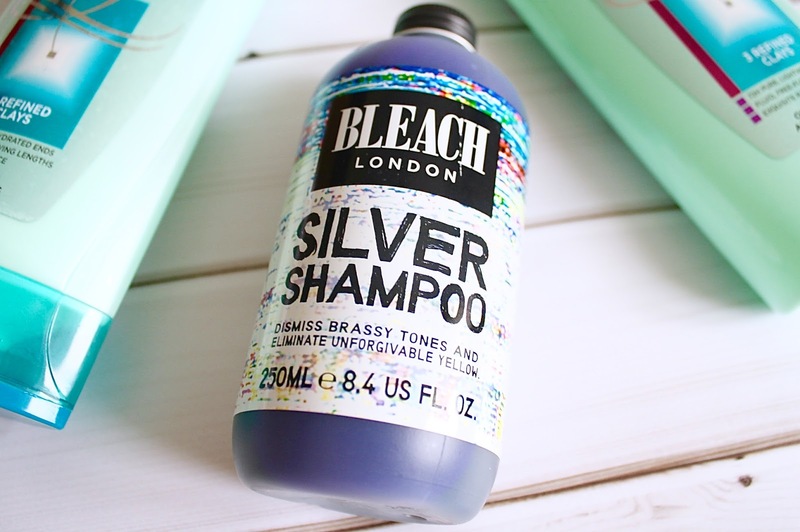 On a side note, if you choose to try out the Bleach London Silver shampoo, the product is blue initially. But rest assured, this does not stain the bath or your hair and it runs clear after rinsing. I'm really impressed with this combination of products so far. If any of you have had experience with ombré hair and have found products that have helped to maintain the colour and condition of your hair, I would love to hear your advice and product recommendations.